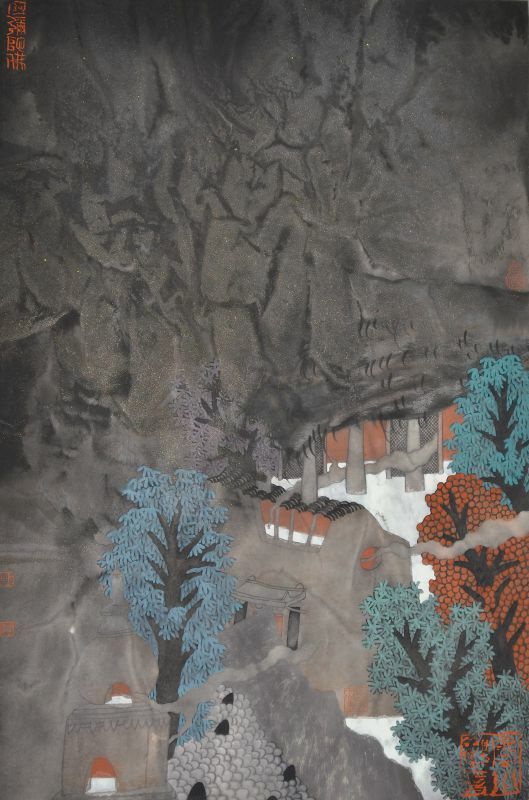 Born in Shandong, China in 1983, Guo Huawei graduated from the Faculty of Painting at the China Central Academy of Fine Arts in 2007 with a Master's Degree. 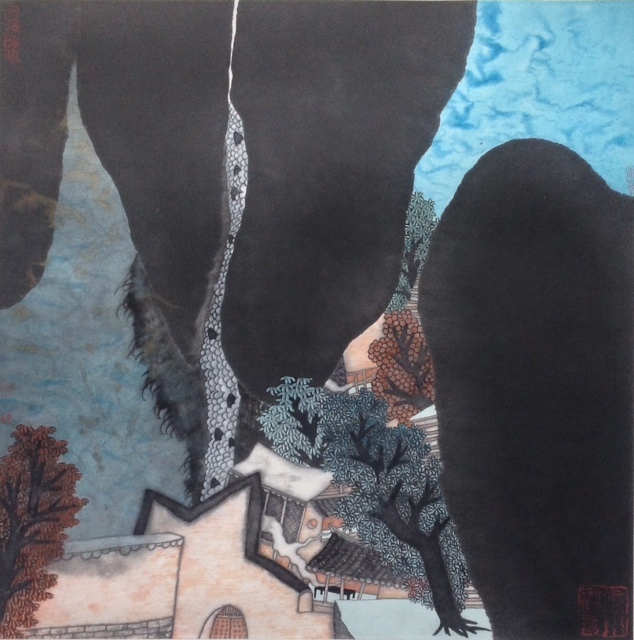 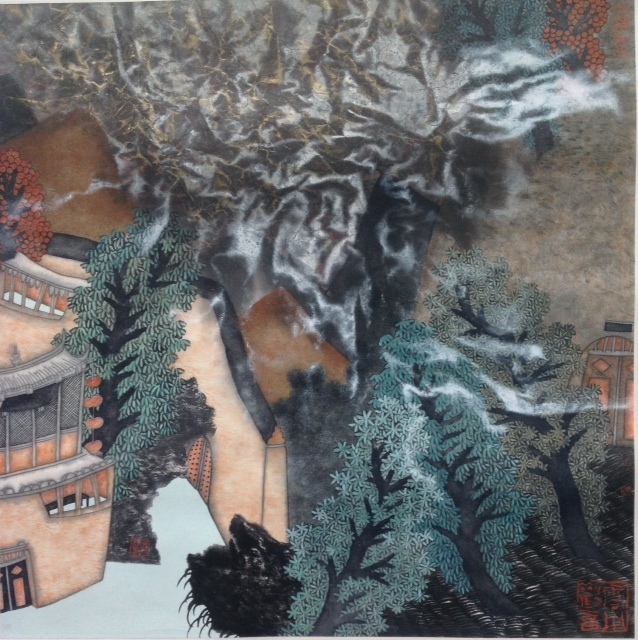 He currently resides and works in Beijing, where he has gained considerable attention in recent years for his unique and current take on Chinese ink painting. 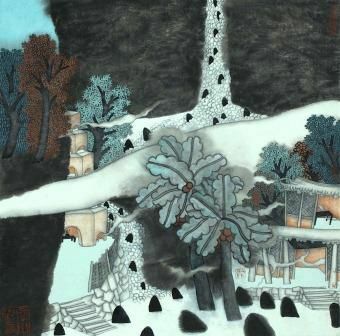 By mixing the gentle fluidity of his chosen medium with the lineal, dreamlike quality of his style, Guo has in fact revisited the original intention of Chinese landscape painting, which is to inspire viewers to feel the subject matter rather than look at it. 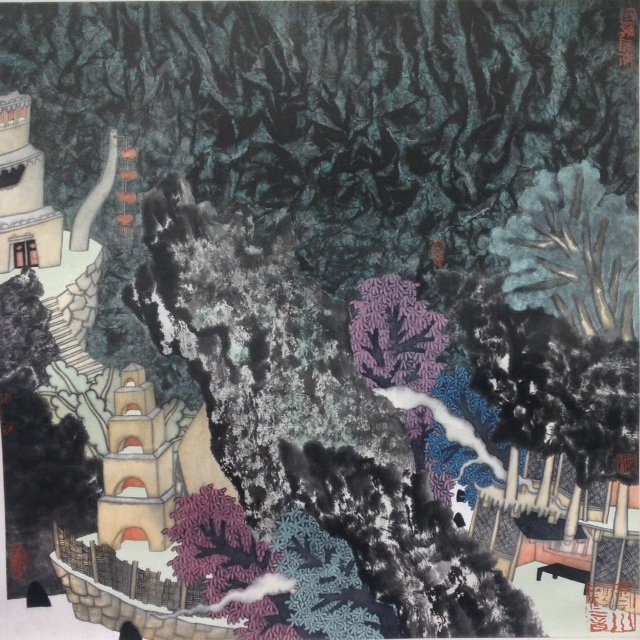 The polychromatic palette and textured look of Guo's works are considered anomalous for traditional ink landscapes, but also create a more clearly delineated compositional framework for his paintings. 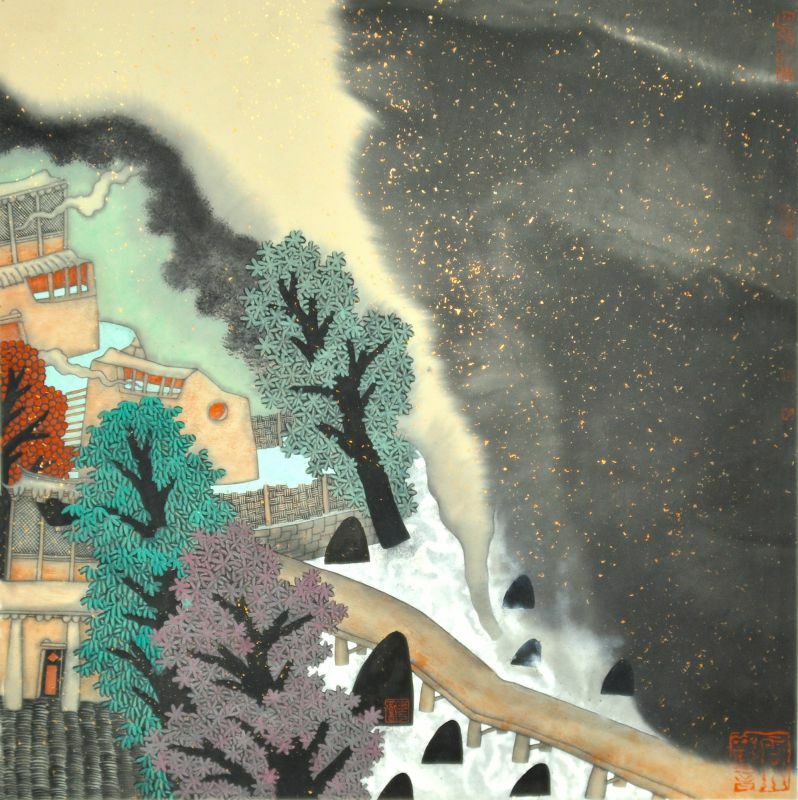 Aside from his graceful depiction of smoky, surrealistic mountainous regions, Guo occasionally features abstract shapes and patterns of colour that endow his works with an otherworldly beauty. 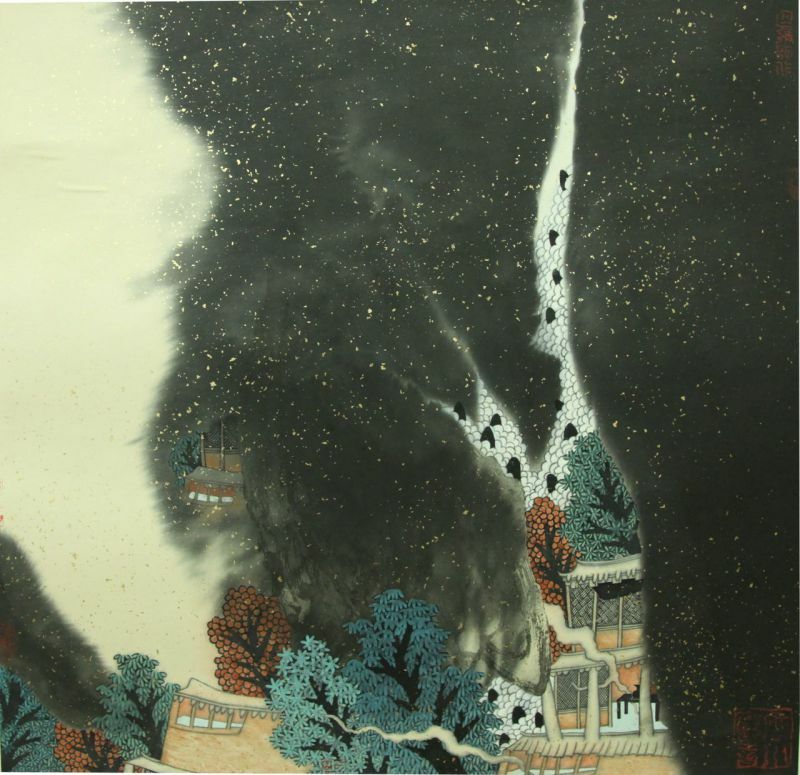 His signature style reminds one that Chinese ink painting has always been more about symbolic expression than the representation of scenes or objects, and motivates the viewer to develop a more instinctive and emotional response to landscape painting that probes one further beyond his or her immediate impression.